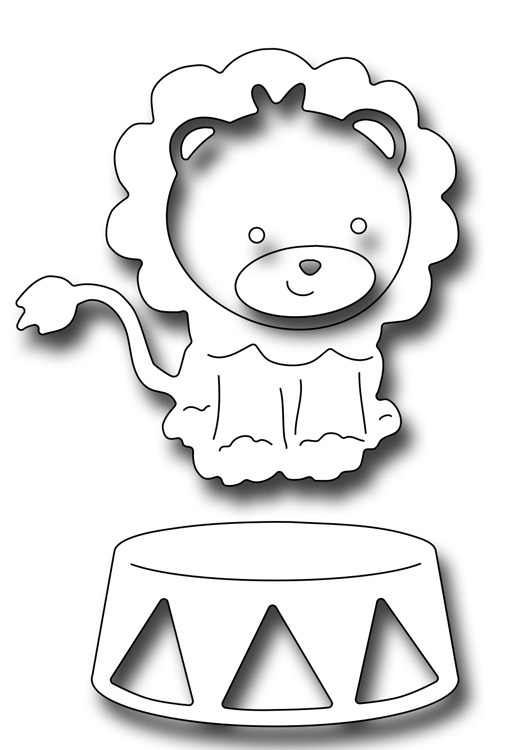 The cute Performing Lion die comes in 2 pieces. The lion measures 1.75" x 1.75", and the stand measures 1.5" x 0.8". The lion's face cuts out independently from the body alowing you to cut it from a different color of paper and reinsert it into the body shape. It also doubles as a teddy bear face very easily!